As one of the most popular document formats, Hyper Text Markup Language (HTML) is almost everywhere. In fact, it is the primary programming language that appears on nearly every webpage created. This makes this document format one of the most sought after when it comes to creating, storing and sharing content. But when you try to print a HTML document, you will find that it can appear wobbly in terms of formatting. This is a problem that can be solved by the best HTML to PDF converter. That's because PDF format is much more printer friendly than HTML. 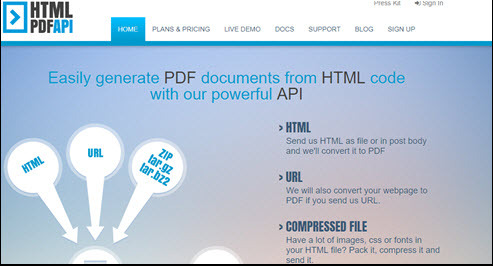 In this article, you'll find 6 of the best HTML document to PDF converters. The following are the top 6 HTML2PDF converter tools that will help you to convert HTML to PDF with ease. 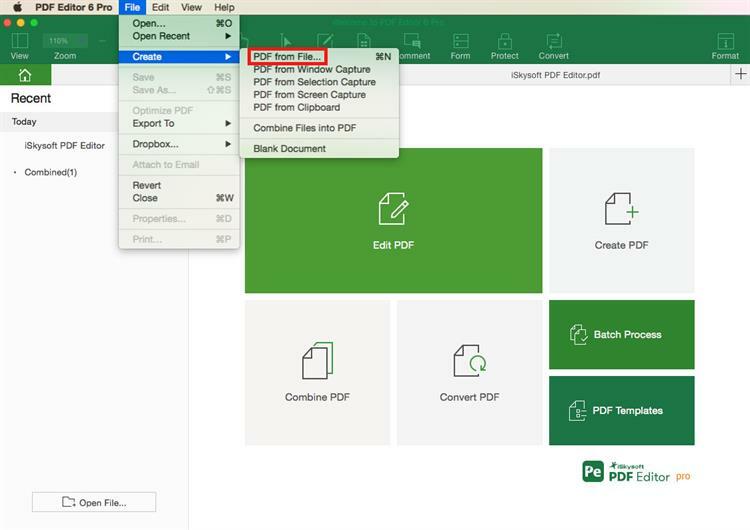 iSkysoft PDF Editor 6 Professional for Mac (or PDF Editor 6 Professional for Windows) is the best HTML to PDF converter that you can use to create PDF from HTML file. This is because it is not just very easy to use, but also comes with powerful features that allow you to convert other formats to PDF. 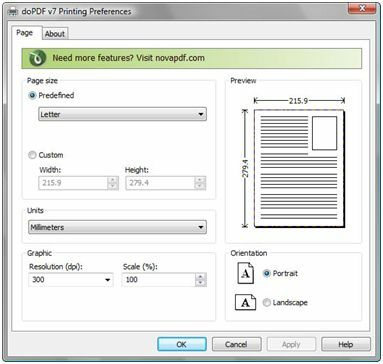 Once the PDF is created, you can then use it superior editing capabilities to edit both the text and images on the document. It is a complete PDF management tool since it does allow users to manage the whole PDF management process from creation to sharing. It makes HTML to PDF conversion quick and easy. It has a lot of other tools to help you easily manage a PDF like editing and annotation features. It has an OCR feature, ideal for editing scanned PDFs. It also has document protection capabilities that include password protection and even text redaction. To explore more features, you need to register. HTML2PDF is an online HTML to PDF convert website can be used to convert any webpage to PDF by simply entering the URL of that webpage in the provided field and then clicking "Convert". It is completely free to use and since it is available online, it is accessible on just about any device. It is completely free to use and easily accessible. It can be used to convert any webpage to HTML. It may not be ideal for the conversion of bulk documents. It lacks PDF editing functionality. 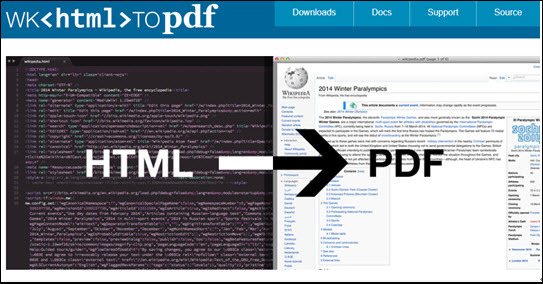 HTMLPDFAPI is an online resource that provides the HTML to PDF converter API that you might need if you want to convert HTML to PDF for the purpose of adding the content to your applications. For this purpose it may not be the ideal tool for the average user who just wants to convert HTML to PDF. But it can be very effective especially in the conversion of multiple HTMLs. It is ideal for conversion of multiple HTML files to PDF all of which can be compressed at the behest of the customer. The process is effective and highly efficient. It is not a free service. It is not ideal for regular document conversions. JQuery is an online application that allows users to generate a PDF from a webpage using the web code. It may not be the easiest tools to use when you are simply looking for a way to convert an individual HTML to PDF. But HTML to PDF converter JQuery utilizes one of the best ways to convert HTML to PDF. This means that the output is always perfect. The process of is very effective, producing some of the best PDF documents. It can be ideal for bulk conversions. It may not be ideal for the beginner user. WK HTML to PDF is a HTML to PDF converter open source tool that uses command line functionality to convert HTML to PDF. It is completely free to use although it may be a bit difficult for the average user to find it useful. It is however effective for the conversion of multiple HTML files to PDF and when you know what you're doing; it can produce top-quality PDF output. It is very effective, producing some of the best PDF output files. It can be useful for batch conversion. It may not be ideal for the average use because of the command prompt features. DoPDF is a HTML page to PDF converter that you can download for free to help you not just convert HTML to PDF but also manage PDF documents easily. The program is widely available and has a lot of premium features like PDF editing and reading. It can be useful in the conversion of PDF documents to other formats. It has a Microsoft Word Add-in for easier conversion and management. Although it has PDF editing capabilities, it may not be ideal for detailed editing functions. Convert Word to PDF with Neevia Not Working? Fixed!